President Trump will meet with Russian President Vladimir Putin in Vietnam, reports the NY Mag. The Russian President is not the only world leader President Trump will consult regarding North Korea. The communist regime is a pressing matter in need of resolution. The matter shall likely be covered as he travels through Asia. 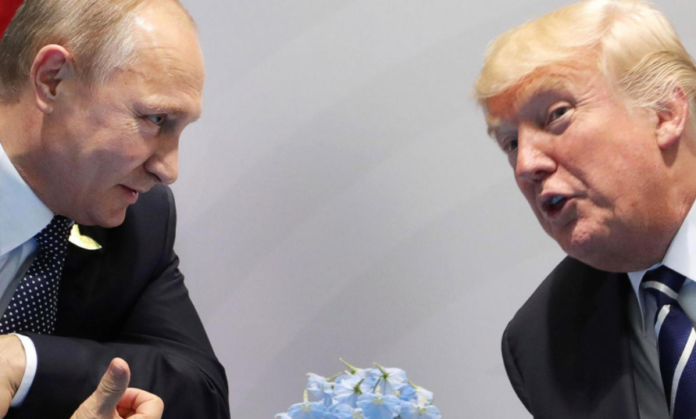 Alleged relations between America and Russia, or more specifically President Trump and Russian President Putin are highly touchy. To this day, some Americans still believe the Russia government played a role in President Trump’s election victory. However, there is no evidence to support this allegation. Upon learning of President Trump’s upcoming meeting with the Russian leader, many conspiracy theories have already begun to surface. Gabrielle Seunagal is a proud and talented staff writer for USA Herald. Outside of advancing her career as a writer and editor, Gabrielle’s hobbies and passions include traveling, karate, exercising, and sparring. She is fearless, determined, and innovative. Gabrielle Seunagal knows that anything can be accomplished with gumption, grit and a strong work ethic.